Home / Gold / Investing / Is the Gold story over for now ? Is the Gold story over for now ? Gold has given positive returns for the past 12 consecutive years, going up from Rs.500 per gram to Rs.3000 per gram. Recently, Gold fell more than 9% in a single day and is been falling since then, leading us to believe that the gold run may have been over for now. Investors often seek guaranteed and safe returns and seeing the price of gold rise continuously over the previous years, they would have been led to believe that the price of gold would never crash. However, this is not the case and prices do correct after giving such big returns over the years. The reasons attributed to fall in gold prices are dip in demand, rising speculative activity and increased participation in equities. Equities all over the world have performed well, despite the gloomy economic climate. 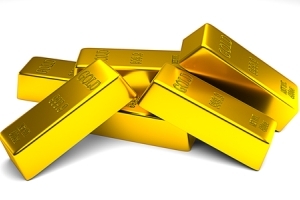 There are not many reasons for gold to remain as a good investment. Only reason that we could find is the slowing down of the perception of global economy, which make investors to park their funds in gold. So what should retail investors do? As we have saying in previous posts about gold, investments should be limited to 5-10% of one's portfolio and that too Gold ETFs are preferred ones. Avoid trading in commodities or investing in physical gold (unless it is for jewelry purposes) and limit your investments in gold.